Updates Galore, then off to BEA! It's a beautiful day in the neighborhood, and perhaps my last chance to blog for a little while, so allow me to lay some updates and anticipations on you. I received my PowerUp! check for $15,000 in the mail sometime last week, so yesterday I visited my new friend Juan at a great local/national bank about 20 minutes away. As he and I had discussed previously, I opened a small business money market account with the prize money, which will also be the depository for other funds raised. And he gave me the paperwork to fill out for a great big (to me) small business loan application. I'm hoping to get that in by mid-June, at the same time as I'm looking for retail spaces. In the meantime, I've made some other great business friends: the Retail Committee of the fabulous Fort Greene Association. It turns out that the beautiful, developing neighborhood of Fort Greene wants a bookstore almost as bad as I want to create one, so I'll be working with them on finding a space, building community support, and doing some more fundraising. I'm so grateful to these folks for what they've done already, and you can be sure there will be much more to report as we lay our plans. Speaking of fundraising... you like me! You really like me! The Stimulating Reading project has already inspired at least one Stimulating Reader to invest their ENTIRE stimulus rebate in my future Brooklyn bookstore, and several others have kicked in at smaller amounts! Thanks, already -- you're incredible. And the project is getting some notice: Forbes' Digital Download (disclosure: this is my friend Dave who helped out with the website), BookSquare, and Living Read Girl have given some link love, and more are to come. Hooray! You shall receive your shirts, bags, buttons, discount cards, and signed book in due course. Don't forget to spread the word to others in blogland, even outside our bookish realm -- I have a sense that there are lots of folks out there hoping to do something worthwhile with their stimulus rebate, and a lot of little investments can go a long way. And speaking of little going a long way... I sat in a room on Wednesday with some of the best booksellers in my city, from stores huge, tiny, and everywhere in between, and big things are afoot. I admit I expected a certain amount of pessimism or crankiness at our first exploratory meeting about forming an alliance of New York booksellers -- we're known for our independence and our toughness, after all. But there was almost none of that -- instead, there was the sense that the time has come at last for us to get together and talk about what's great about indie bookselling in New York, and how we can get that across to the book buying public. Thanks to the good efforts of Kelly Amabile, Chris Doeblin, and Eileen Dengler, the meeting was a fantastic exchange of ideas toward a common goal, and I was amazed at the talent and intelligence in the room. We came up with a lot of great ideas for the nature of the group and for specific projects, and agreed to meet again in about a month to solidify some of those decisions. I'm excited to see what's to come. 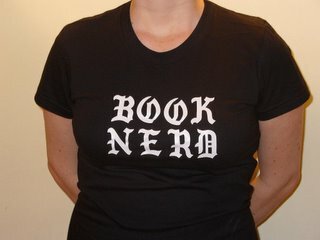 And now... 'tis the time of year when a young bookseller's fancy turns to... Book Expo America! Yes, my beloved boss will be far too pregnant to get on a plane herself this year, so she's sending me to Los Angeles along with my trusty coworker (known as Webmaster Dustin), and we have plans to tear it up. To be precise: every year before now I've had a nice little list of things I planned to do. This year: a spreadsheet and a Google map. Seriously, check it out -- you can see all the places I'm planning to be, though some of them require some manipulation of the space-time continuum to be in more than one place at the same time. But, as per tradition here's (an abbreviated version of ) my intended schedule for BEA this year -- because I hope to see you there! Arrive in Los Angeles in the afternoon. Dinner with best friend from high school (I grew up two hours north of L.A.), in which I will attempt to persuade him to tell me how in the heck people get around in this city if they're sloshed -- research, you know. 9:00 - 5:00: The show floor experience at Book Expo America, including meetings with reps and vendors, shmoozing with other booksellers, picking up (or trying not to pick up) free galleys and swag, and taking in the spectacle that is the American book industry. It's a lot to pack in to eight hours - wish I could get to everything. 7:00 on: Again, various parties, including a couple of publisher cocktails/dinners, and Craig Popelar's infamous Hellfire party -- I didn't make it last year, and I'm told it was something to see. We'll just hope I can stagger in on Saturday morning. Afternoon: Rendezvous with my mom and my sisters for a little California vacation. I'll be incommunicado until Wednesday, enjoying some beach and family time. I've got lots to do between now and Tuesday, so I may not get to blog again before then. If I can find a few minutes of downtime in the ABA lounge I'll try for some live blogging -- otherwise I'll catch up when I get back. Hope you all have equally exciting plans for our beachside BEA -- see you at the show!! As I've been hinting, I've been thinking a lot about the economic stimulus payments currently flowing into Americans' mailboxes. And thanks to the creativity of some politically-minded and tech-savvy friends, I've got a brand-new suggestion about what to do with some portion of that free money. Visit www.stimulatingreading.com, and use your stimulus package to become an investor in an independent bookstore -- specifically, the one I'm creating in Brooklyn. The website will explain the details -- basically, you can choose an amount to kick in and receive some Book Nerd swag and/or buying power at the future bookstore. And using your rebate in this way is a way not only to show your support for my little literary project, but to stimulate the economy through supporting small and independent businesses. Honestly, I feel a bit presumptuous asking you to use your windfall to help create my bookstore. I don't want to twist your arm -- I'm just offering an option. And especially if you're someone who has mixed feelings about the wisdom of the stimulus rebate to strengthen the economy, this is one way to spend it more purposefully than just by, say, buying new clothes. I'm working on a number of other ways to pull together the capital to get this bookstore going by late this year. But I'd be so thrilled if some of the start-up capital came from you -- those independent supporters (or "small online donors") who can make such a big difference. And you might even get a personalized signed book, or a one-of-a-kind mix tape out of it, not to mention some major discounts on books. 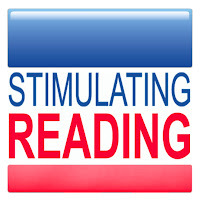 Check out www.stimulatingreading.com, spread the word, and kick in if you can. I'd love to hear your thoughts, via comment or email. And wherever you choose to spend your stimulus payment -- shop local and independent! In 1970, when we first opened our doors on Riverdale Avenue, we lived in a very different world: Nixon was President; Lindsay was the mayor; the buses and subways (and even a slice of pizza!) cost just 30 cents. You have made the bookstore a wonderful and vibrant place, joining us for chats about your favorite books and special events featuring notables such as Nobel Prize winner Toni Morrison, Pulitzer Prize winners Robert Caro and Richard Russo. So many great writers both local and worldly like Mary Higgins Clark, S.J. Rozan, Ted Conover, Thomas Cahill, Ann Packer, Pete Hamill, Chang-rae Lee, Frank and Malachy McCourt, Phyllis Chessler and Alan Dershowitz. We’ve hosted special evenings at the College of Mount Saint Vincent, The Riverdale Y, An Beal Bocht and Palombos. New York Yankee greats Yogi Berra, Derek Jeter, Paul O’Neill, Don Zimmer, Joe Torre, and David Wells, and even the irrepressible Edward I. Koch (four times!). Regretfully after 38 years of service to The Bronx, Paperbacks Plus will be closing its doors. We have been honored to serve you as the borough’s only full service general interest (very) independent neighborhood bookstore. As a final farewell, everything (books, cards, games, puzzles, audio books…and even the store) at Paperbacks Plus will be 20% off beginning Wednesday, May 14. NOW is the time to find those Book Club Awards, store credits, and gift certificates that you’ve been using as bookmarks or have squirreled away in sock drawers. Redeem them NOW to take special advantage of our Farewell Sale. Thanks to you, this little bookstore has thrived in The Bronx, and we have cherished the times we shared over the years. Join us as we close and say goodbye. I've never been to Paperbacks Plus, because I am a lazy New Yorker and rarely make it up to the Bronx. But I've met Fern, the owner -- she was one of the founders of the New Atlantic Independent Booksellers Association, and a very independent person indeed. She gave me a ride home from a NAIBA meeting once and shared stories about running her store -- it's been a long journey. According to Shelf Awareness this morning, the store is closing primarily because Fern is ready to retire -- she's keeping her accounts open, possibly doing offsite sales, and open to the possibility of selling the store to another. SA also quotes her as saying, ""I have no regrets. I've met so many wonderful people in this business. It's been a passionate part of my life." If you can, make it up to the Bronx soon to pay your respects. That borough will miss its only indie. THE SECOND ANNUAL BEA EMERGING LEADERS PARTY! TO RSVP TO THIS EVENT GO TO: www.bookexpoamerica.com/EmergingLeadersRSVP - YOU MUST RSVP BY MAY21st. I know, every day it's something, but I got some of that special cough syrup from my doctor yesterday (does it have codeine in it? I can't remember), and I think the shot I took at 4 in the morning is still working out of my system. I'm feeling a little punch-drunk, is all I'm saying, so bear with me. So y'all know the point of the Emerging Leaders Project, right? If not, the idea is to foster the creation and growth of the next generation of booksellers, through peer support, mentoring, and education. By providing a professional community for younger booksellers, we're creating an atmosphere where we can think of bookselling as a career, and get plugged in and connected and educated in ways that are going to make us the managers and store owners and innovators of indie bookstores of the future. The point isn't to exclude anyone who's over an arbitrary age limit -- it's to specifically provide resources for potential great booksellers who might otherwise slip through the cracks and go back to publishing, or grad school, or wherever else folks go when they can't make a living in bookselling. It's to think into the future of the independent bookstore, which is vital for anyone who cares about the life of their store and their industry and literature itself. We've been doing that mostly through getting together and drinking so far, but that's one way of networking -- possibly the most time-honored. (There's lots more coming, though -- I'll get to that.) Turns out that one of the problems we're trying to solve is also one of the problems in getting all of us younger folks together. Lots of younger booksellers don't get the emails sent to the bookstore address -- those get sent to the owner, and sometimes deleted in the flood of daily correspondence. And young booksellers don't necessarily read industry news in Shelf Awareness, Publishers Weekly, or Bookselling This Week -- they haven't yet learned about that, or they don't think it's relevant for them. So while we know there are tons of potential Emerging Leaders out there, we can have a hard time getting to them through the traditional email blast. So we're open to suggestions. How do you get to the 20- and 30-something booksellers in stores who would be interested in what Emerging Leaders provides? We're thinking maybe postcards. We're thinking social networking (though these booksellers don't necessarily know each other yet either). And we're thinking you savvy Seasoned Booksellers (yes, that's the counterpart to Emerging, and it's a major compliment) gotta let them know -- by posting this invite in your store, for starters. We're hoping to find more ways to get young booksellers hooked in to the network that's forming -- we'll know more after BEA. And then we'll be winding down at The Woods, in the company of hopefully a hundred other fantastic young booksellers or fantastic-booksellers-in-training. (Not to mention Scott McCloud, and Curtis Sittenfeld, and the other fabulous authors who are joining us!) So I hope you'll be there, or send your favorite young bookseller. The future of the industry may just depend on who makes it to that open bar. So just disregard all of the "poor me" stuff stated or implied in Friday's post -- I have the coolest job in the world. I stammered about being at the part where I need to go to banks and get some big loans, but that the neighborhood was really supportive. "Yeah, they're dying for a bookstore," he said. Thrill One: Famous/admired author remembers one's plans, expresses enthusiasm. Almost as good as the encouragements of David Mitchell. The other author, Paul Miller, was a bit late in coming, so I later got to chat some more with Jonathan while the crowd slowly filled and overflowed the chairs we'd set up. I asked him about his new novel in progress, to be published probably late next year, which I'd read an excerpt from in Zadie Smith's Other People anthology (it's the story/character "Perkus Tooth"). He said it was getting close to finished -- "I know everything," he said, "I just have to get it written." He told me that along with Perkus and the story's narrator, there are a handful of other characters, and the story mostly plays out on New York's Upper East Side. When I asked if there was any magic in the story (like the ring in Fortress, or his earlier literary genre-bending), he allowed as how there was more of a sense of ominous foreboding. "It's something like a Saul Bellow novel that's gradually taken over by H.P. Lovecraft," he offered. Thrill Two: Inside scoop on forthcoming literary work from admired author, complete with memorably clever descriptive phrase. At last, Paul Miller a.k.a. DJ Spooky arrived, and greeted me gracefully amongst all the posse/admirers clamoring for his attention. I asked what we were doing for audio/visual, as I had had only the vaguest instructions; he humbly admitted that it had been "one of those days" (it later turned out he'd just gotten off a plane from Antarctica), and he didn't have anything prepared. But he handed me his (own personal) iPod and pointed out the right playlist, and suggested I pull up both author's websites for the big screen. Thrill Three: Custody of famous DJ/artist's iPod. Duly prepared, with strains of remixed Allen Ginsberg in the background and the Jonathan Lethem and DJ Spooky websites up on the screen (both appropriately dynamic changing backgrounds), I did my standard intro, for a crowd of over 100. Thrill Four: Realizing that you've successfully planned and are now hosting a very popular event, on a Friday night, in Manhattan, New York City. Then he talked: about the creative and performative aspects of music vs. literature, about borrowing and referencing and theft, about his own interest in these issues and his contact with DJ Spooky, before he turned it over to Paul. Paul read from his introduction to the anthology he edited, Sound Unbound: Sampling Digital Music and Culture: a trippy meditation on satellites, shared experience, tributes and sampling. Then he talked: about the contributors to the anthology from Brian Eno to Lethem to Chuck D to Cory Doctorow, and some of the ideas he'd been developing about creative commons, cultural exchange, copyright and "scene-ius" (Eno's term for collective creativity). And then he passed the mike back to Lethem. It was like a collaborative, intellectual MC showdown: each kept taking the conversation higher and higher, riffing on each other's themes, pulling out new sweet phrases and big ideas, and referencing everybody. I wish I'd kept a tally of the name-dropping -- or rather, effective allusions and informative tributes -- these two dropped. Just for a sampling: Ginsberg, James Brown, Gertrude Stein, Wu Tang Clan, Slavoj Zizek... Lethem talked about his Promiscuous Materials Project. Miller passed out free CDs. It was possibly the most high-level, high-energy conversation I've ever heard in the bookstore, and when it was over, the applause was thunderous. And then people bought books. EVERYONE bought books. I bought books myself, which happens a small percentage of the time when you're doing events six nights a week. Thrill Five: The event worked. Actually, it rocked. And you made it to the end. As the line of fans getting books signed dwindled and we got the last of the equipment put away, I sidled up to the authors with my own books for signature. Both wrote variations of "To Jessica -- thanks for a great night!" Thrill Six: Personalized signatures from authors you admire... even if they could possibly be misconstrued by later readers. I lamented light-heartedly that I didn't get my hands on one of the free CDs, and Paul asked for my card and said he'd come back to the store to give me one and sign more books for stock. Then Jonathan reached in his bag and pulled out one of those skinny jewel cases that you buy in bulk, with the title "Monster Eyes" (the name of the hit song of the band in his novel). "Here -- music to read by," he said. Thrill Five: A secret mix CD made by Jonathan Lethem. Sweet! Okay, I am a total nerd. Authors are my rock stars. The question is, how did I get so lucky that they pay me for this? And is it okay if I keep on doing this -- reading, meeting authors, working in bookstores -- for the rest of my life? I'm sorry no posting this week. I'm up to my neck -- no, over my head -- with managing book sales for PEN World Voices Festival events, and keeping up with events in the bookstore. And I've gotten myself sick, something creeping from my head to my chest and making me even less capable of keeping on top of things. But here's a bit. The Literary Saloon has some nice reports on PEN Festival events. Amazon.com is suing New York State. Publishers Weekly reports on the backlash from the successful efforts by the ABA and others to enforce sales tax on online retailers with "nexus" in the state. The Wall Street Journal also has an opinionated take on the issue. Want some literary entertainment this evening? I don't know what to recommend -- you've got the Jonathan Lethem & DJ Spooky Show at McNally Robinson, or the Thomas Pynchon birthday party at the revitalized Freebird in Brooklyn. We've got audio-visual; they've got food and a fax-a-thon. Now I'm going to take a hot shower so I can stagger out into the day's duties. Hope y'all are doing better than I am.